Milwaukee. What an interesting town/city. Very cool that Happy Days was “based” there, they are known for their beers and Kohler (found that one out this weekend) and love their town names AKA Sheboygan. Could have done without the cold water temps but hey, when you live in Florida all summer anything colder than 78 is freezing. This race wasn’t as spectacular as Burlington last year. Burlington, I thought was much nicer, even if it was harder to get to. The bike course was interesting, but the run was lovely I will say that. I didn’t do as well as I was hoping to but all in all still a cool venue, learning experience and prep for LONDON! Just look at my competition. I’m the small one in the middle. I arrived in Milwaukee on Friday with my bike on the plane (not transporting it like last year or April, and I found out that tri bike transport “lost” a bike; whoops). The bike made it safe and sound, built it back up, did my checks and everything was good to go. I headed down to the venue to pick up my packet and drop off my bike. Bike drop off opened at 2, the line was around the block but because all I was going to drop off was my bike, I was done. I went and bought food at Whole Foods instead of relying on trying to find a restaurant and went back to the hotel to rest my legs. The next morning I wasn’t up as early as last year because you learn from each experience. My wave wasn’t until 9:18 which was pushed back 10 minutes because the police had to block off the highway where we would bike. Everything was fine with my bike and set up in transition, but little did I know that by the time I would get to my bike, my bike bag would fall onto my tire and stay there. The swim was 68 degrees, very cold and I swam in the time I usually do, 32 minutes (I practice and try to get faster but nothing. 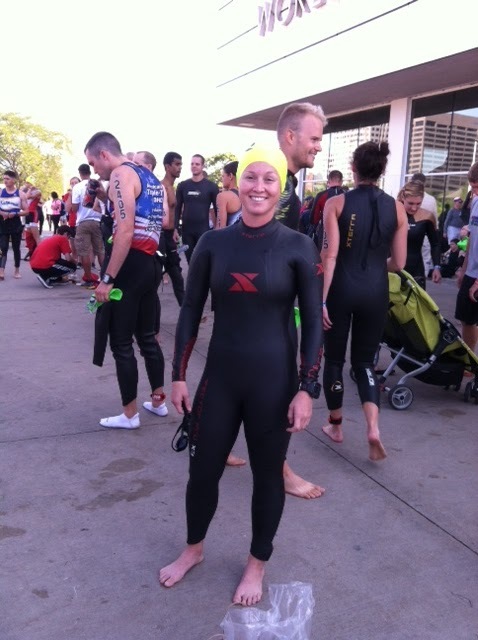 )BUT I HAVE TO THANK XTERRA WETSUITS! Because without my sponsorship and my vector pro long sleeve wetsuit I don’t think I would have been able to stand the cold waters. Had issues getting my wetsuit off and putting my helmet on. Once the issues started there I knew it only meant trouble for the rest of the race. I head out to the bike and for some reason I can’t pedal fast. I look down at my speed and it slowly starts decreasing to the point that I am doing 14 mph. It was then I knew something was wrong, plus I heard this noise that sounded like hissing but it wasn’t. Of course, I freaked that I may have a flat because I would be like how? I realized after a couple of minutes that my bike bag was dragging, so I stopped to take it off which took longer than I thought so I lost a good chunk of time on the bike, at least 6-7 minutes. I was averaging 19-20 once I was done and probably could have gone faster. Could have been much faster but I couldn’t find my transition spot because once again it was covered with other people’s crap. My run was well on point for the first three miles, then got hit with stomach issues at 4 and slowed down. Once I felt better I pushed harder but not as hard as I probably could have. 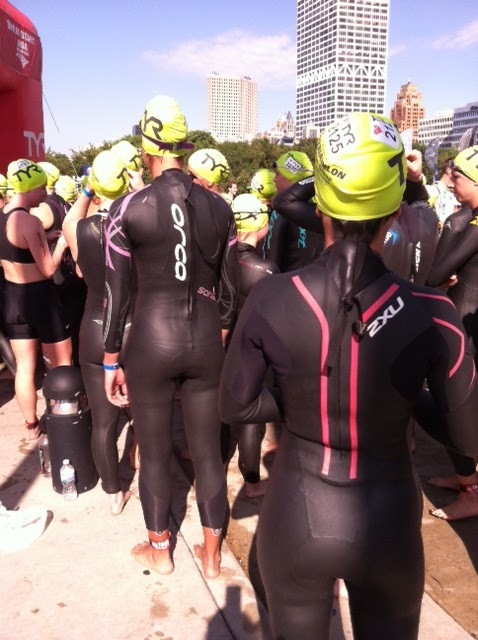 Overall I was very disappointed with my race. I could have done so much better but once I could feel my quads hurting I just didn’t have that oomph. Anyways, I have 1 month until London, and now is the time where I will be pushing myself as hard as I can and working myself to the bone. Glad you enjoyed Milwaukee. I raced in the Sprint on my home town course and volunteered Friday and Saturday. It was incredible to have all the athletes from all over the country in my home town. See you next year!